The modeling capabilities in OPC UA are rated the most valuable feature of the OPC Unified Architecture Standard. Unified Automation offers extended modeling services to their customers. The rich information model capabilities of OPC Unified Architecture allows UA Servers to describe data and relations amongst such data to make it useful information to be exposed to UA Clients. With such information model, when designed correctly, the consumers of the information obtain extra advantages for generic processing or specialized proceedings to be performed on the data. Even more when information models are additionally standardized, within your company, in a certain branch or industry, or globally for certain device types, the consumers of the data can also standardize on the information, to homogeneously display, or to uniformly process and analyze, or just store the information. By this HMI and SCADA system benefit from the information model same as analytic and cloud applications. 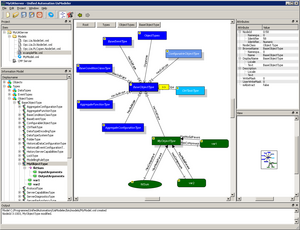 The Software Development Kits (SDK) of Unified Automation support rich information modeling. Developers writing UA Servers with the SDK additionally have access to UaModeler(TM). 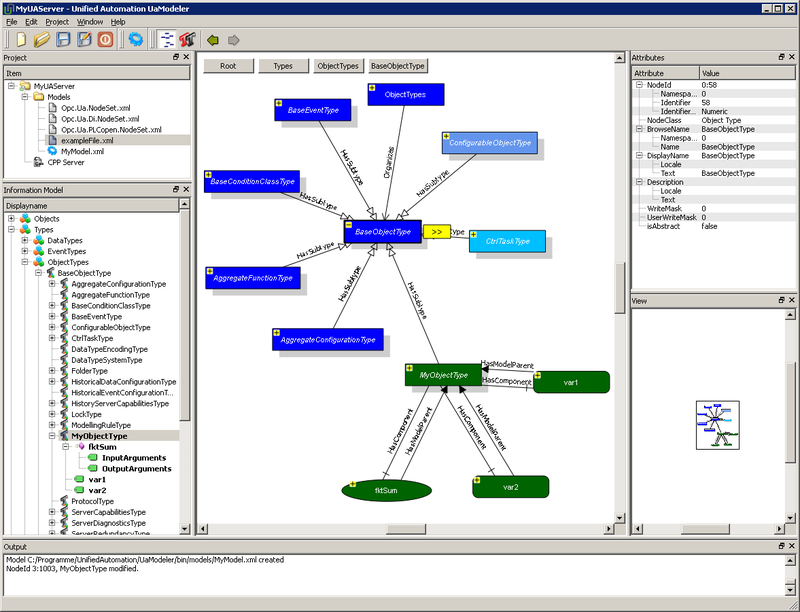 This information model design tool can import, create and modify information in an OPC UA conformant fashion. It can generate code to be used in UA Server and UA Client implementations, but it also can export the model to be used and shared in OPC UA Companion Specifications or standard consortia. However, the key to all the advantages is the properly designed OPC UA information model. To create such model a deep knowledge of the process and data (the "what") is required. But also full knowledge on the capabilities and rules (the "how") of the OPC UA technology including all of its features is needed. “We are very proud to announce that we have contracted Dr. Wolfgang Mahnke, one of the most well-known UA experts” says Jürgen Boxberger, Executive Director at Unified Automation GmbH. “He is one of the inventors of the UA information model. We can offer first class extended modeling services to our customers." Creating a proper, well designed OPC UA information model that describes a device, a machine or a complete plant, requires multitude of expertise. Especially if such model should become a standardized companion specification in itself. Bringing together the process and machine experts with the OPC UA experts closes the gap of required services when transitioning from design via information model to concrete OPC UA server implementation.